Like it or hate it, Apple is a trend-setter in more ways than one. The company’s use of the display ‘notch’ on its iPhone X was chastised by one an all when the device was originally launched last year, but it quickly became a must-have ‘feature’ in the following months, with even Google expected to follow suit with its upcoming Pixel 3 XL. However, Apple’s designs aren’t apparently being copied only by other tech companies anymore. 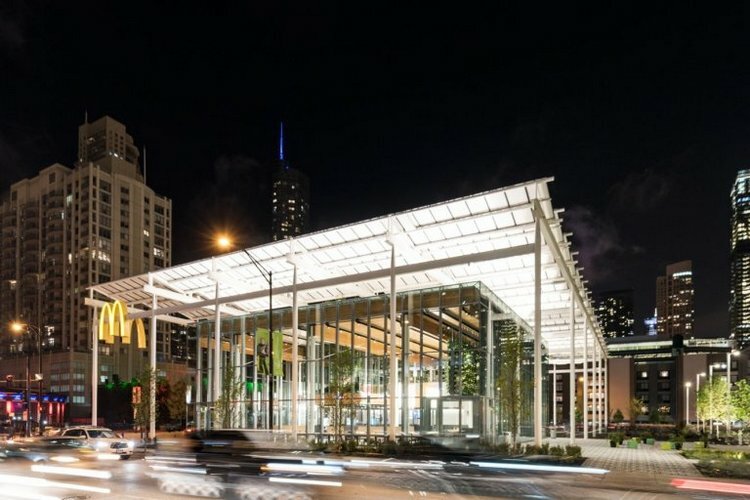 According to reports, McDonald’s new flagship store in Chicago looks strikingly similar to Apple’s own iconic stores with an extremely similar design language. The McDonald’s restaurant in question is the flagship outlet for the fast food chain, and is situated less than a mile from Apple’s own flagship store in the Windy City. 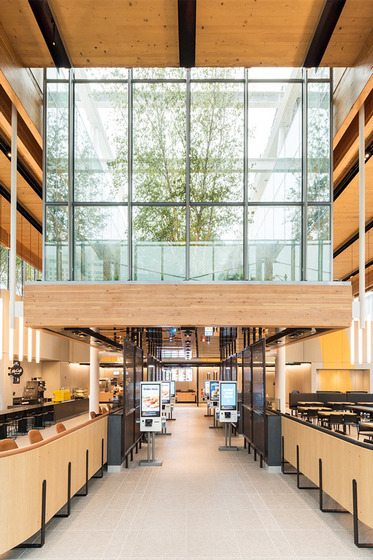 On its part, McDonald’s says that the new store is part of the company’s ‘Experience the Future’ concept and its design has been inspired by its “commitment to sustainability and has abundant green spaces and energy saving features”. However, it carries a wood-and-glass aesthetic that’s incredibly familiar to anyone who’s ever stepped inside an Apple Store in the country. It’s worth noting here, though that unlike the Apple Stores which display a similar aesthetic across all outlets, McDonald’s units won’t suddenly start going upmarket all of a sudden. According to the company, this particular outlet will be an example of how the company can “dramatically enhance the customer experience with more convenience, personalization and choice”. McDonald’s may be one of the first non-tech companies to have been ‘inspired’ by the Apple design aesthetic, but many tech majors, including the likes of Microsoft, Sony, Samsung and Tesla among others, have also implemented similar post-modern, minimalist wood-and-glass design for their stores since Apple started the trend. It’s not that everyone’s blindly copying Apple, but the striking similarities are just too hard to miss.